Hixson Transmission and Total Car Care have the best of the best technicians. 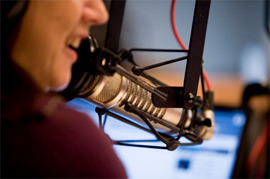 All of our technicians are ASE Master Certified and pride themselves on continued education. 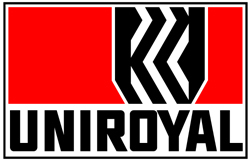 They are always up to date with the latest technology for service and repair. Each of our technicians has a tough book lap top with internet access so information is always readily available. Gene – Service Manager; Gene comes to Hixson Transmission after working for several years as a service manager in a large car dealership. Don't let his polite and gentle ways fool you…he is an expert at car repair. When Gene doesn't have his head under the hood of a car you will find him at car shows and flea markets. He's passionate about cars and loves spending time sharing his passion with his teen age son. 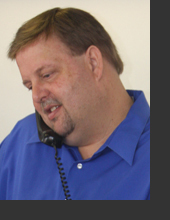 Allan – Customer Service Representative; Allan comes to us from a long career in the retail pharmacy business. He brings his love for people and pleasant attitude to Hixson Transmission and Total Car Care to help make your experience more enjoyable. He's married to a beautiful lady for over 20 years. Allan spends his time away from Hixson Transmission wearing black and white stripes. He loves to referee sporting events. And he likes to tote his sticks across the fairway. Rumor has it, he's a scratch golfer plus some! 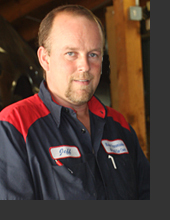 Jeff – Automotive Technician; Jeff has been with Hixson Transmission for four years. Jeff is ASE Master Certified and is an expert at auto repair. 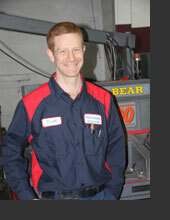 Jeff has been servicing cars for over 25 years. He worked in his uncle’s shop before high school graduation. Jeff lives in Soddy Daisy, has two boys and loves to participate with them in sporting events. Most days you will find Jeff at the ball field. You can feel confident knowing Jeff worked on your car. 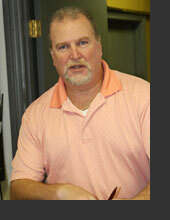 Randy – Driveability Expert; Randy has been with Hixson Transmission for one year. Randy is ASE Master Certified and has been working on cars for 18 years. Randy is considered an expert when it comes to anything to do with your engine. From belts and hoses to alternators and plugs, Randy can fix it. Randy loves extreme sports. He spends time on his motorcycle and driving his jeep. Watch for the silver bullet on the road. Randy will make sure your car is ready for a long road trip. Keith – Automotive Technician; Keith is a ASE Master Certified technician and is an expert at diagnosing problems. He enjoys the challenge of electrical and drive ability issues. Keith is married to the lovely Lindsey and they have five wonderful children. Keith loves to blacksmith, an art that is long lost. If he's not in the blacksmith shop he is out with the kids hunting and fishing. Cody - Automotive Technician; Cody has been "messing" with cars since he was two years old. He would disassemble his Tonka trucks and bubble mower. 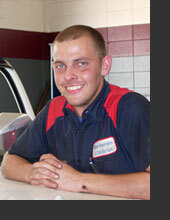 Cody has a history of working in large dealerships prior to coming to Hixson Transmission and Total Car Care. Cody is the proud father of two beautiful children, Peyton and Bentley. When Cody isn't at work you will find him on the river. He loves to jet ski, boat, tube and water ski. He is an out doors enthusiast and his kids are right there with him doing whatever dad is doing. Chuck – owner/manager; Chuck is the one with the vision and fortitude to make Hixson Transmission and Total Car Care the shop you trust to take care of your valuable freedom…your car. Chuck has been interested in cars since he was a small boy growing up in Cleveland, TN. He has built the business on the blessings of God, the quality of service offered, the integrity of the employees and the expertise of the people he surrounds himself. When Chuck isn’t at Hixson Transmission you will find him running along the river and playing with his faithful companion. 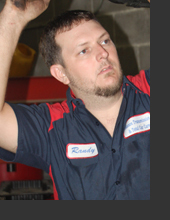 Rocco - Speedy Soddy Manager; Rocco has been with Hixson Transmission and Total Car Care for three years. He is a family man with a beautiful wife and three children. Rocco likes spending time away from Hixson Transmission/Speedy’s playing with his kids and joking with his friends. Rocco is a little boy trapped in a big boy’s body. Rocco loves muscle cars and he likes to attend car shows and events. Rocco will make sure you know what needs to be done to your car. Dale - Speedy Technician; Dale started working on cars in his brother’s garage when he was 6 years old. He went on to take maintenance mechanics and auto body repair in vocational school. Dale says some people play golf as a hobby, for him, working on cars is his hobby. He loves working on cars and helping others. Dale lives on Dayton Mountain and likes to hunt, fish and go 4 wheeling. Jennifer – Speedy Hixson Manager; Jennifer comes to Speedy/Hixson Transmission from the auto dealership world. She is originally from the Chicago area and loves to call Chattanooga her home. Jennifer is a student of life, when she’s not at Speedy/Hixson Transmission she is busy studying and hanging out with her friends. Jennifer loves life and brings stability to the front desk. Jennifer lives the dream by pursuing travel and adventure. Jennifer will make sure the right parts are being used on your car.